Pamplin Media Group - Your nose is an important diagnostic tool! Your nose is an important diagnostic tool! Sweet maple syrup: Coolant is leaking, possibly from a radiator or heater hose, or the from the radiator itself. Be especially suspicious if you can smell it from outside the car. Burned carpet: The brake pads are overheated. Maybe you've left the parking brake on; are driving through lots of hills; or have a dragging brake. Use your hand to check the temperature of the brakes to find which one is burning. Rotten eggs: This is the smell of hydrogen sulfide in your exhaust. Your catalytic converter is probably malfunctioning; there may be a problem with your engine. Burning rubber: If you smell burning rubber while the engine is running, a hose might have come loose or you could have a drive belt issue. A rubber component is in the wrong place and in contact with a hot part of your engine. If you notice something, bring in your car right away. Don't put off necessary repairs and turn a minor problem into an expensive one! 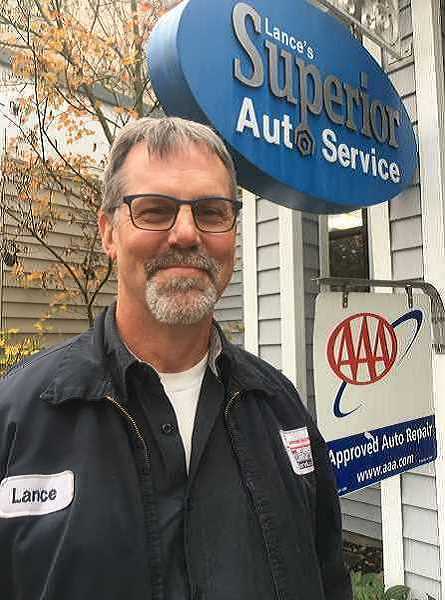 Call Lance's Superior Auto at 503-682-8522 to schedule an appointment.